Ivone Margulies is the author of Nothing Happens: Chantal Akerman’s Hyperrealist Everyday. She teaches in the Film and Media Studies Department at Hunter College, City University of New York. A film scholar and critic, she writes on realism, performance, and theatricality in cinema. 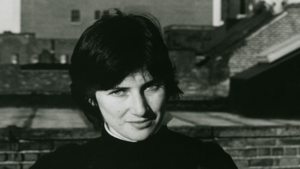 We had come to expect Chantal Akerman’s periodic gifts of small and large cinematic gems. Certain of this flow, we were devastated when, all too abruptly, we were forced to think of her latest film, so beautiful, as her last.